Always a privilege to see my favorite band play live. Their show at Uptown Theater in KCMO was my second opportunity to shoot their show. 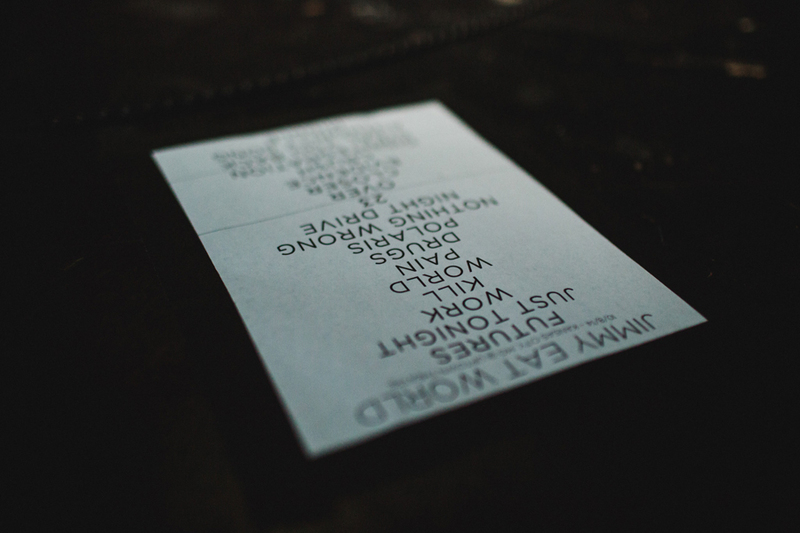 (See photos from their OKC show last year in this post.) This time around was especially meaningful as Jimmy Eat World is touring for the 10 year anniversary of “Futures“, which is also my favorite album. So excited to see them again in a few weeks at Cain’s Ballroom in OKC! The opener was a treat as well, since Robin Vining, who has toured with Jimmy Eat World for a while now is in the band. Minibosses played a set of video game theme song covers. It was a fun time! Shot with Kris Roe of The Ataris a few weeks ago when he passed through OKC on his solo acoustic anniversary tour of So Long Astoria. Such a great and talented guy that I’m looking forward to working with more in the future!